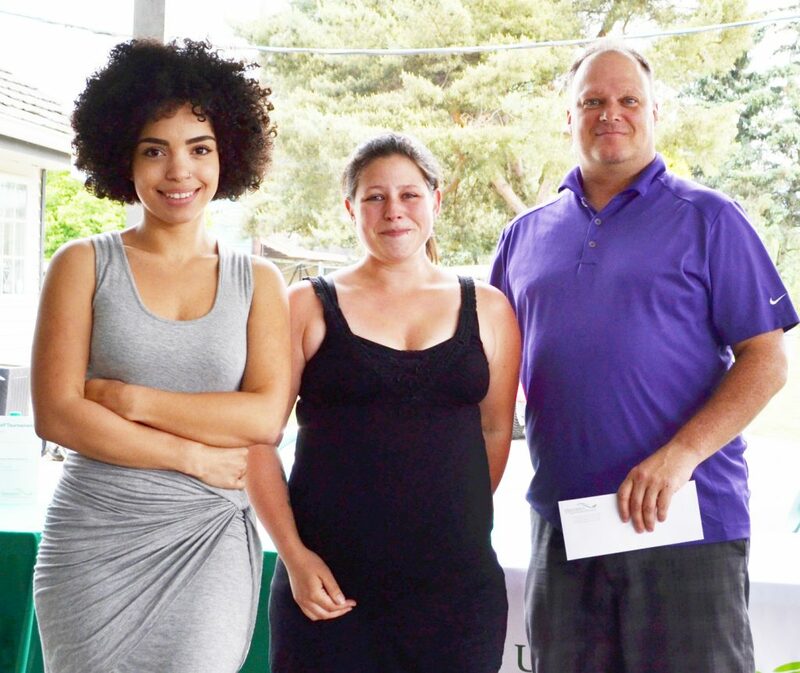 Once again, the beautiful weather, enthusiastic and skilled participants, and amazing sponsors all led to making the 36th annual fundraising golf tournament a real success — for participants and students. We not only had a great time but also did it for a good cause in support of our students! The Faculty and Staff Bursary will be bolstered by $4,350! 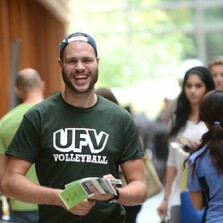 A big thank you to our gold event sponsor Manulife (UFV’s benefit provider), and event supporters the UFV Faculty and Staff Association, and UFV Human Resources and Finance. We would also like to thank Sean Parkinson of the FSA for his inspiring words as well as the organizing team of Debbie Dyck, Kartar Thandi, Deanna McIntyre, and Sheila Reimer, as well as volunteer extraordinaire Sophie Leis, cupcake maker Katrina Eng, and hosts Fraser Glen. “I am a success story. In my everyday life I make a considerable effort to avoid using labels or making generalizations, but I am trying to make it clear that I have been fortunate. I know full well that there are many children and youth who, by no fault of their own, will grow up and not be able to overcome such challenges. I was a level 3, high risk, marginalized youth and teen parent with a lot of trauma who spent time in both group homes and foster homes. I had limited access to a social worker, which I now know was a violation of my rights. My experiences have manifested themselves in many way, but one of those ways is determination. 50/50: $107 Mike Royal — who promptly donated his winning back to the student speakers, Randi Seguin and Chelsea Trill.